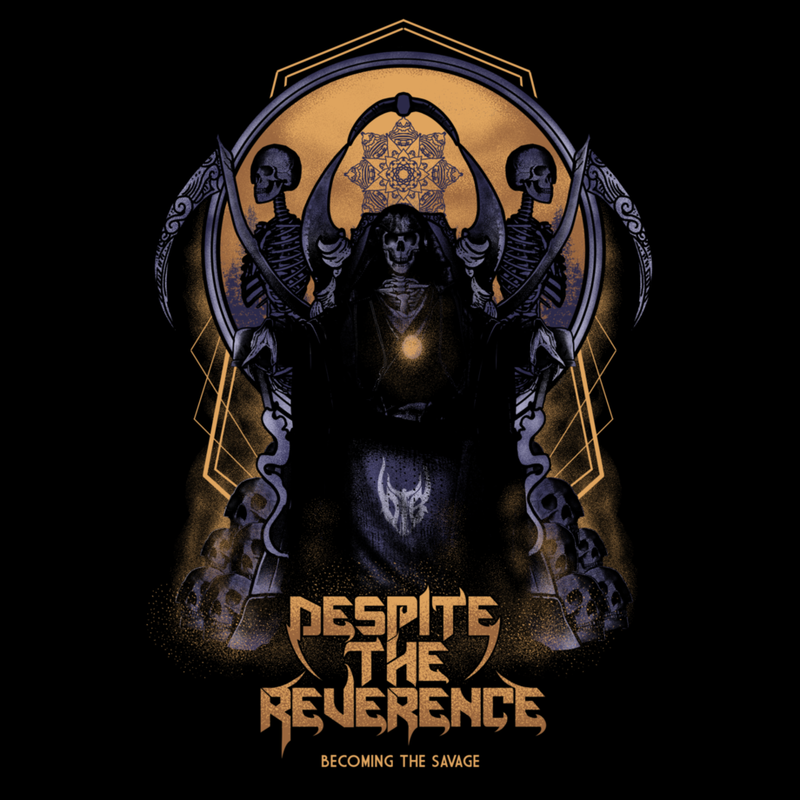 CHECK OUT DESPITE THE REVERENCE ON TOUR NOW AND PROMOTING THEIR LATEST ALBUM, "BECOMING THE SAVAGE"! Despite The Reverence is a Saskatoon based groove metal group which was formed in 2011 and consists of members, Johnny Fast (lead guitar), Tom Liska (vocals & guitar), Jordan Poelzer (bass) and Brad Zimmer (drums). The groups unique brand of hard rock/progressive groove metal carries influences such as Tool, Pantera and Mastodon as well as other influences in the metal and hard rock genre. The group has released 3 full length albums with their first self titled album in 2012 with Glenn Ross Studios. This album was able to feature 5 songs in the Canadian motion picture, “Ferocious” 2012. Despite The Reverence followed this album with “Alien Intrinsic” (Toneshift Audio) where the group really found their sound which focused on progressive and groove based compositions. The most recent album “Becoming The Savage” (2017) was recorded at Toneshift Studios and mastered by Case Mastering. It has been the breakthrough album for Despite The Reverence and displays rich composition and musicianship. The 10 songs on this album showcase the group’s development and progression. This album was release with Session 1 Records on a one record contract. They have released 3 music videos with this album which include the album single “Solitude” and followed up by the title track, “Becoming The Savage”. Also released was a video for their second single, “Deception”. Despite The Reverence has toured successfully in Canada as well as toured internationally in the United Kingdom. They have enjoyed success on the road and have also received radio play nationally and internationally. The group is currently working on a 4th album and preparing for further touring in the spring of 2018. Ideas. Sometimes the hardest part of songwriting. As a writing musician I am always looking for inspiration. Searching for the next greatest idea. Once I've found it everything floods in at once but it's the initial trigger that is the hard one. Everyone writes differently. Some about personal experience others about whatever interests them. I used to look for the experience to spawn the idea however now it can be something somebody says or a different word that starts the process. As our band, Despite The Reverence, has evolved I have gone from writing about my experience to writing concept. As that has developed, I now write in layers where the concept or story line is the surface layer but underneath are the more subtle ideas. They are most likely only known by the writer but this is what gives me the satisfying end product. Sometimes it's difficult to write in plain site and I think this is why I have developed this style. I always keep a note pad or write ideas on my phone as they occur and always am looking for the next thing. As the songs are written and morph into a final product and eventual album so does the concept grow and spread its roots.